Nevion’s NX4600 is an H.264/AVC encoder, decoder and media gateway all built into one. With its high density (up to 4 encoders or decoders in a 1RU form factor), it is specifically designed for applications, such as sports or news broadcast contribution, where multiple high quality video streams need to be transported reliably and with very low latency on network connections that have relatively constrained bandwidth. The NX4600 enables up to four baseband SDI video signals to be encoded using H.264/AVC or MPEG-2 compression and transported over ASI and IP, with aggregation of TS over IP streams on one or multiple GbE ports if needed. It is also possible to combine encoding and decoding in the same unit, and switch between encoding and decoding, making the NX4600 the most versatile media gateway on the market today. 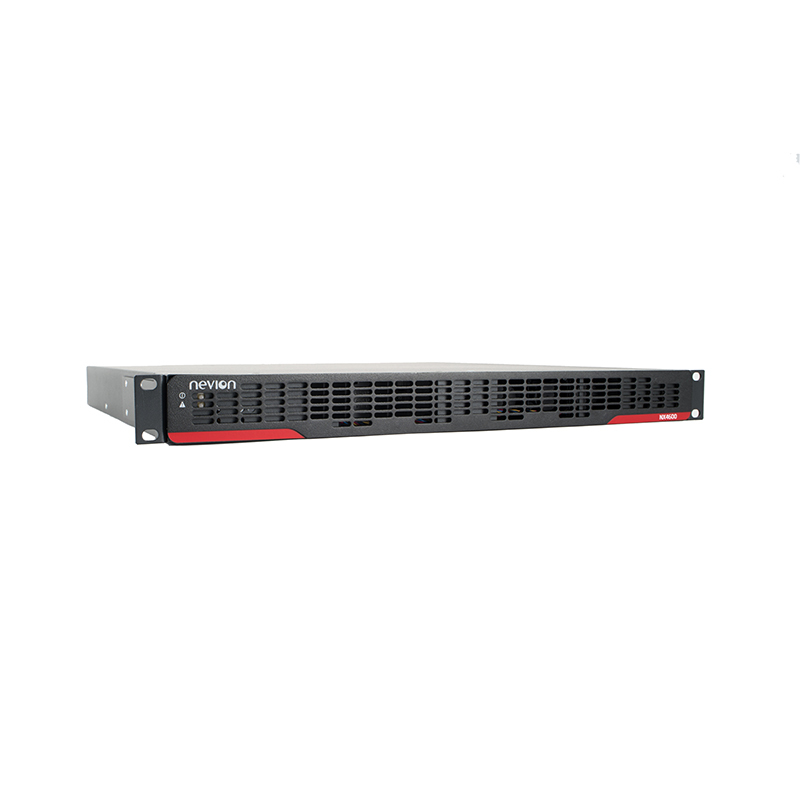 The NX4600 includes Nevion’s trademark advanced protection mechanisms that enable real-time transport of professional media over IP networks with extremely high availability. 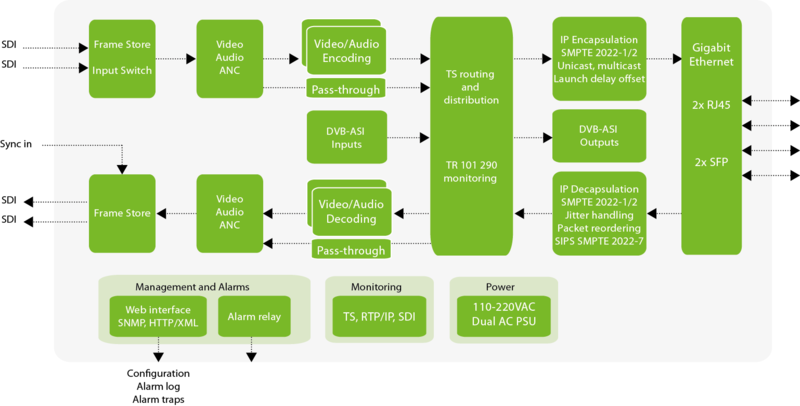 The H.264/AVC Media Gateway offers built-in Transport Stream monitoring of both encoder outputs and decoder inputs, as well as SDI and RTP/IP monitoring – all of which helps anticipate and correct any issues with input signals or networks should they arise. Nevion’s NX4600 can be managed easily through a web-interface or via VideoIPath, Nevion’s media service management solution. 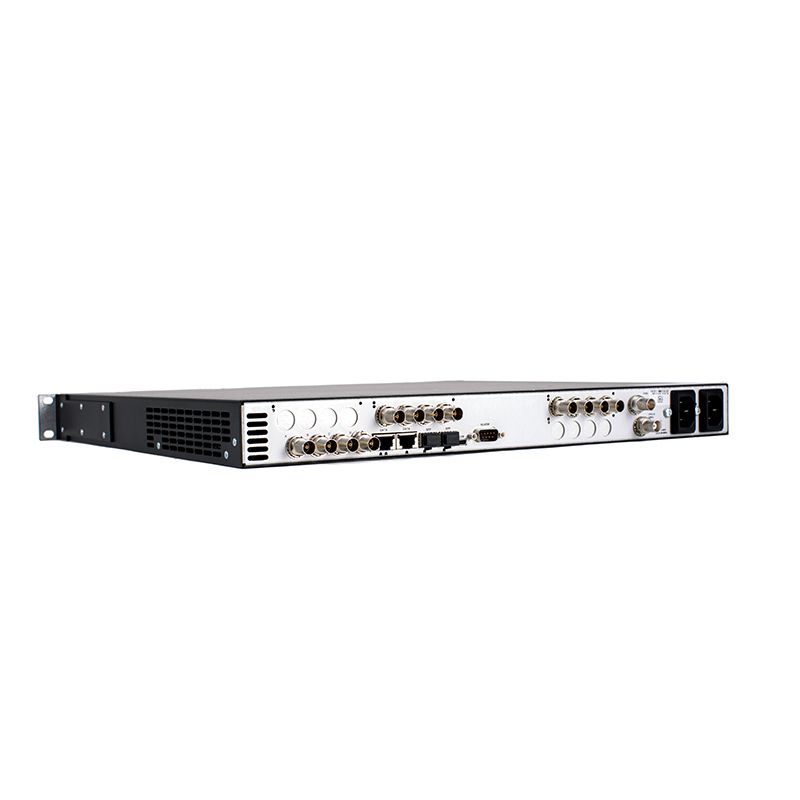 The NX4600’s high-density, flexibility, aggregation, monitoring and ease-of-use makes it eminently suited for applications such as broadcast contribution over low bandwidth or environments with rapidly changing requirements such as occasional use deployments. The NX4600 software release 2.8.44 brings a number enhancements, for more details refer to the release notes. Adobe air applicaton to browse gui of cPorcessor, nSure and Video Gateway products. The fastbrowser will cache the gui files so that download of the gui files is only needed once. This will help out browsing units on slow IP links. If you have the Fastbrowser already installed you might have to de-install the older one version before installing the new version as it is not signed with a "trusted" certificate. Software to detect and change IP address on units in the cProcessor, nSure and Video Gateway family. I want to know more about NX4600 H.264/AVC Media Gateway.